Italy-Tours-in-Nature: Botanical Gardens and Italian Flora Tours, 2019. The classic “FLORA OF THE DOLOMITES”: A Eight-Days Trip Through the Heart of the Dolomites, taking in some of its most astonishing Flora, both in the Wild and in Botanical Gardens. (PLEASE NOTE: This is a first draft, with more details to follow at a later stage). The dates of the trip are: Tuesday 4th June to Tuesday 12th June, 2019. Day 1. Tuesday 4th June 2019. Arrival of participants in Venice; transfer to the region of Alpago. Welcome dinner at Rifugio Dolada -- a natural balcony on the surrounding region -- and overnight accommodation at B&B "Casa dei Len", Pieve d'Alpago (or alternate accommodation if this is not available) (1). Day 2. Wednesday 5th June 2019. Visit of Cansiglio and Cansiglio botanical garden, and other natural features of this interesting karstic area. Easy walking in the area. Free evening and overnight accommodation at B&B "Casa dei Len", Pieve d'Alpago (or alternate accommodation if this is not available) (2). Day 3. Thursday 6th June 2019. Visit of Monte Faverghera botanical garden, and other flora of the mountain, which is a floral hotspot, being a relic glacial station. 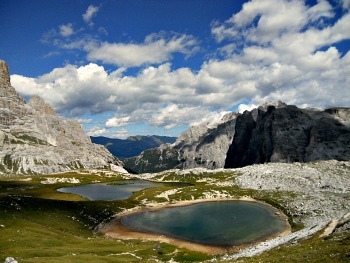 Transfer to hotel in Cortina (Malga Ra Stua or alternate accommodation) in the late afternoon; evening meal included (1). Day 4. Friday 7th June 2019. Roundtrip of the Tre Cime di Lavaredo, where the beautiful flora of the Dolomites can be experienced on site, in a dramatic scenery. Medium-difficult hike: duration 5-6 hours. Free evening. Overnight accommodation at Malga Ra Stua (or alternate accommodation), Cortina (2). Day 5. Saturday 8th June 2019. Driving the “Great Dolomite Road”, and taking in the great Dolomite scenery along the way, with (time and weather permitting) one ascent in high altitude with the cable car (Lagazuoi or Sas dla Crusc, in val Badia). Transfer to hotel Garni Karin in Corvara (or alternate accommodation if this is not available) (1). Free evening. Day 6. Sunday 9th June 2019. Hiking to see the magnificent flora of the Alpe di Siusi, an open meadow-plateau at 2,000 m of altitude, renowned for its floral richness: a real haven for the lover of Alpine plants. Included lunch in a typical working farm. Easy-medium hike: duration 4-5 hours. Transfer to hotel in the Merano region (1); free evening. Day 7. Monday 10th June 2019. Visit of the Trautsmanndorff botanical garden in Merano, a stunning new garden which blends in the Alpine flora with the Sub-Mediterranean climate of the region, in the former site of Princess Sissi castle. Transfer to Hotel Miravalle in Fai della Paganella, Trento, with included dinner (1). Day 8. Tuesday 11th June 2019. 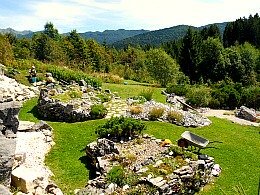 Visit of La Paganella, seeing the local flora in nature (or, alternatively, visit of the Viotte Alpine Botanical Garden at Monte Bondone, Trento). Included dinner at Hotel Miravalle in Fai della Paganella (2). Day 9. Wednesday 12th June, 2019. Transfer to Bolzano, where we will briefly visit the Museum of Natural History, hosting also the famous mummy of Iceman “Otzi”. End of the tour in Bolzano around 1pm, from where there are easy train connections to several main airports (Venice, Verona, Munich). Estimated cost of trip (depending also on the final number of participants): in the region of 1,640-1800 GBP (British Pounds), or 2,100-2,300 USD (US Dollars). Please note: this figure is an estimate, as the ultimate cost of the trip will be announced when the final number of participants is more clearly defined. The minimum number of participants is two; the maximum is eight. The number is kept low on purpose, so to allow the best enjoyment possible of the sights. I will run the trip with a minimum of 2 (two) participants, in which case the cost will be reduced by the fact of not having to hire a minivan (I would use my own car). The price will include: the cost of accommodation (typically in a double room; there will be a supplement for single room accommodation), welcome dinner on the first evening, two more dinners at the Hotel Miravalle, plus a typical lunch along the course of the trip (typically, at a mountain hut or working farm). All other meals are not included. The price does include entry tickets to the gardens or other attractions such as cable cars, as per program, plus the cost of transportation via car or minibus (depending on number of participants) between the different locations. Please notice, the price does NOT include the cost of the airfare. The BOTANICAL GARDENS OF ITALY and the honored tradition of the “Giardini all’Italiana”: A Twelve-Days’ Trip combining the history of some of Italy’s oldest Botanical Gardens, taking in the old and the new across time and three regions: Emilia-Romagna, Veneto and Liguria. Day 1. Wednesday 4th September 2019. Arrival of participants in Bologna late morning/early afternoon; acknowledgment with some cultural features of this interesting city. Welcome dinner; overnight stay in an Agriturismo near Bologna (1). Day 8. Wednesday 11th September 2019. Day trip to Villa Hanbury at “La Mortola”, near Ventimiglia. This is an outstanding Mediterranean garden founded by Sir Thomas Hanbury in 1867, which was to become, over the years, one of the most renowned collection of tropical and sub-tropical plants in Europe, relevant also for its scientific value. Villa Hanbury also actively collaborated with Kew Gardens in the late 1800s through to the outburst of WW2, and it is a splendid fusion of natural and agricultural landscape, with the implant of a Botanical Garden and the landscaped park. After a period of neglect and subsequent restoration, it is now managed by Genoa’s University as ‘sister’ Botanical Garden. Farewell dinner (included), and overnight stay in Genoa, or at a nearby location (1). Day 9. Thursday 12th September 2019. Visit, in the morning, of the esoteric-romantic gardens of Villa Durazzo-Pallavicini, in the Genoese suburb of Pegli, recently opened after a 3-year restoration plan; end of the trip around 1pm in Genoa, where there is an International airport and there are easy train connections to several other main airports (Nice, Pisa, Milan). Estimated cost of trip (depending also on the final number of participants): in the region of 1,950-2,100 GBP (British Pounds), or 2,500-2,700 USD (US Dollars). Please note: this fugure is an estimate, as the ultimate cost of the trip will be announced when the final number of participants is more clearly defined. The minimum number of participants is three; the maximum is eight. The number is kept low on purpose so to allow the best enjoyment possible of the sights. I will run the trip with a minimum of 3 (three) participants, in which case the cost will be reduced by the fact of not having to hire a minivan (I would use my own car). 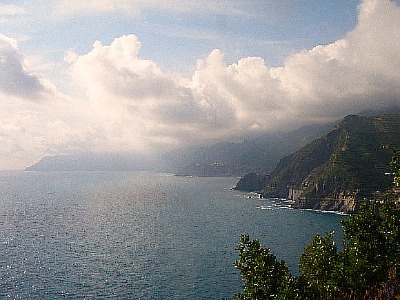 The price includes the cost of accommodation (typically in a double room; there will be a supplement to pay for single room accommodation), welcome dinner on the first evening (Bologna), farewell dinner on the last evening (near Genoa), plus a typical lunch along the course of the trip (Restaurant ‘Belforte’, Cinque Terre). All other meals are not included, but a special rate may be negotiated with the Agriturismo near Bologna, which may also be included in the final figure (more information on this at a later stage of the planning). The price does include entry tickets to the gardens or other attractions, as from the program, plus the cost of transportation via minibus or car between the different locations. Please notice, however, the price does NOT include the cost of the airfare. The “CLASSIC DOLOMITES” trip — October 2019. The “CLASSIC DOLOMITES”: A Eight-Days Trip Through the Heart of the Dolomites, taking in some of its most astonishing scenery, geology, history and flora of the region. (PLEASE NOTE: This is a first draft, with more details to follow at a later stage). The dates of the trip are: Tuesday 1st October to Tuesday 8th October, 2018. Day 1. Tuesday 1st October 2019. Arrival of participants in Venice; transfer to a hotel near Belluno or in the region of Alpago. Welcome dinner at B&B and restaurant "Casa dei Len", Pieve d'Alpago. Day 8. Tuesday 8th October 2019. Transfer to Bolzano, where we will visit the Museum of Natural History, hosting the famous mummy “Otzi”. End of the tour in Bolzano around 1pm, from where there are easy train connections to several main airports (Venice, Verona, Munich). The price will include: the cost of accommodation (typically in a double room; there will be a supplement for single room accommodation), welcome dinner on the first evening, two more dinners, plus a typical lunch along the course of the trip (typically, at a mountain hut or working farm). All other meals are not included. The price does include entry tickets to the gardens or other attractions such as cable cars, as per program, plus the cost of transportation via car or minibus (depending on number of participants) between the different locations. Great News: The "Dolo-Slovo Rocks!" returns in 2019! The Dolo-Slovo Rocks! Trip visits three of the most amazing regions of North-eastern Italy and Slovenia: The Julian Alps, Lake Bled and the Škocjan Caves in Slovenia, the Trieste/Carso (Karst) area, and the enchanting Dolomite Mountains in Italy. The dates are June 27th to July, 7th, 2019. More information on Tom's other trips can be found in his website, as indicated in the link just above.